Telephone Wire Basket Size.6 - large bowl. 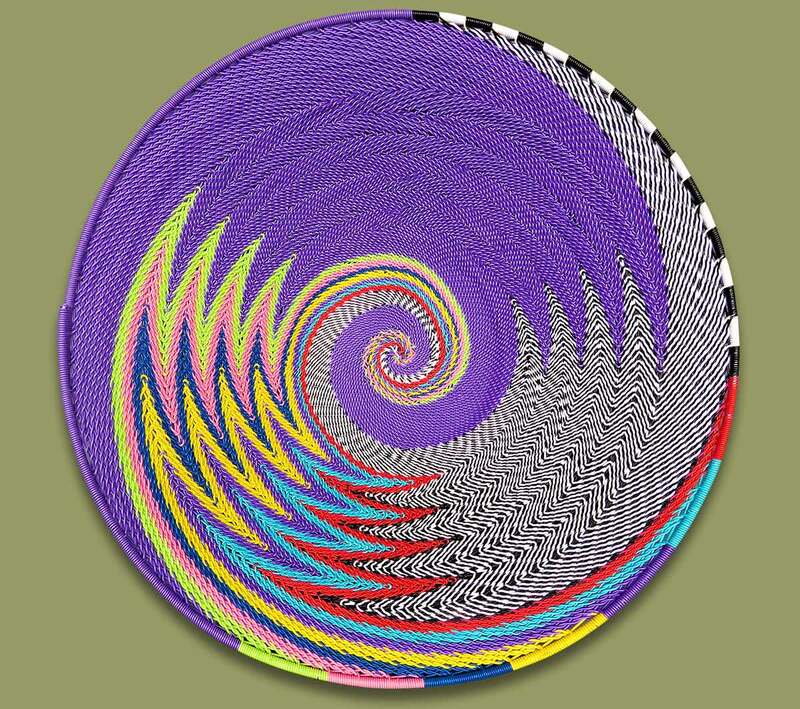 African Jazz Purple design. Hand made from recycled telephone wire in South Africa.